Post Draft Reactions: But What About the Patriots Defense? 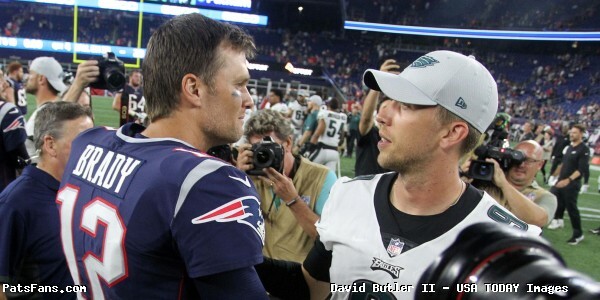 With the 2018 NFL Draft in the books, when it comes to the Patriots, the more things change, the more they remain the same. Bill Belichick is the master at doing the opposite of what people expect him to do and once again he remained true to his principles. Belichick has made it abundantly clear that he will not draft according to need if he doesn’t feel the value was there for the team in terms of fit or ability. He made it very clear his feelings on that just prior to the draft. Down the stretch and into the playoffs the Patriots defense, specifically, the front seven didn’t strike fear into the hearts of anyone. They had a pronounced lack of depth at edge rushers and a dearth of speed and athleticism at linebacker. 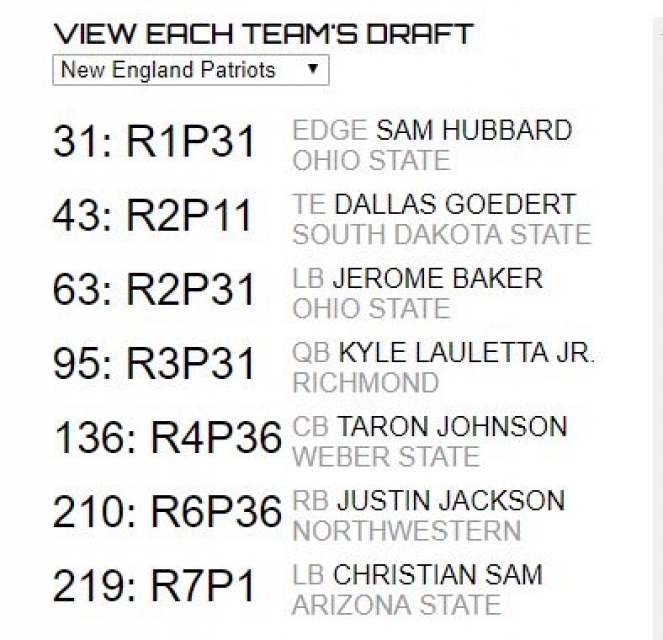 The prevailing thought was (and not just here) that the Patriots would address these needs early in the draft. They didn’t. Once a few of the top edge rushers and linebackers went early in the draft, including Alabama’s Rashaan Evans who the team reportedly wanted, the Patriots didn’t look for any in the first four rounds, not believing the ability was there. In fact, their first three draft picks were a tackle, running back and a cornerback. Coincidentally, and despite what Belichick said about drafting for need, their biggest free agent losses? You guessed it, a tackle, running back and cornerback. While we thought here that were plenty of players that could help the defense, Belichick and Nick Caserio balked. The took a linebacker in the 5th Round at #143 but he is hardly the speedy, athletic type we all clamored for. Ja’Whaun Bentley is a throwback to the 2003 era. He’s a big, 6’2, 260-pound sledgehammer. A two-down run stuffer but hardly a coverage guy. Christian Sam taken at #178 is more in line with that type of player. So what is the plan for the defense? 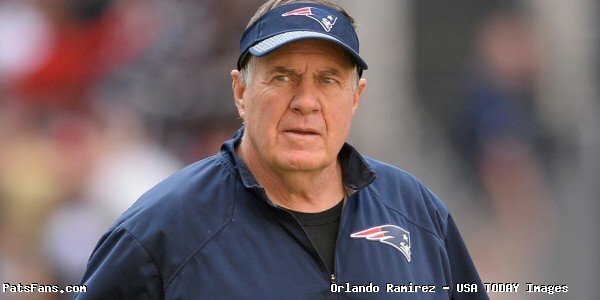 Belichick obviously feels the defense will be best served by getting back its own players. First of all, the team will be looking from within this year. 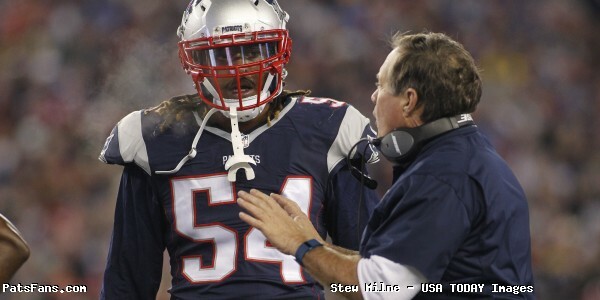 They get Dont’a Hightower, Derek Rivers, Harvey Langi and Vincent Valentine back from injuries. 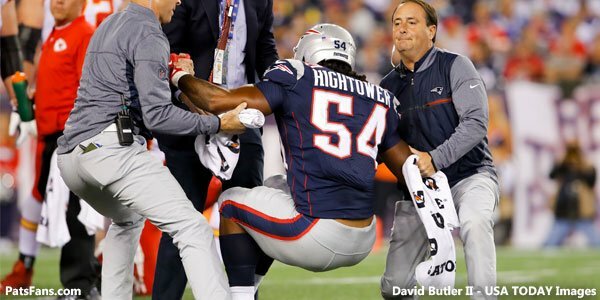 Hightower and Langi could be asked to move back to the linebacker position. Rivers is seen here as a hybrid edge rusher/outside linebacker. The team picked up Adrian Clayborn and DT Danny Shelton during free agency and corner Jason McCourty will definitely help the depth of the unit. With these added pieces, the defense, and specifically the front seven will look vastly different. 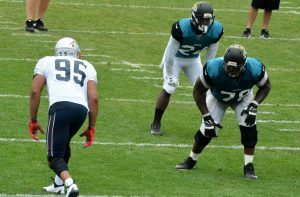 Factor in that both Deatrich Wise and Adam Butler will each have a second season to further their development. Belichick always says the biggest development for players is between Years 1-2. And of course, the team could still try to swing a deal with another team to make a trade for a veteran player early this summer or sign a free agent. Now that the draft is over, any veterans can scan the rosters and see where their best fit may be. With everyone returning healthy, Rivers may probably be the most watched guy on the defensive side of the ball this summer. The light was just starting to come on for the rookie when he went down with an injury that forced him onto IR. The defense could look vastly different than the one they fielded at the Super Bowl if the Patriots put Hightower back at the Mike with Rivers and Kyle Van Noy as outside backers, Adrian Clayborn and Trey Flowers at defensive end and Danny Shelton and Malcom Brown inside. Some of the other guys can be used for depth and Rivers and Hightower can be moved around and play either upright or down as edge rushers. A few of the UDFAs may make a splash. A couple of the intriguing names for front seven include DTs Frank Herron and John Atkins and DE Trent Harris. Harris is a bit undersized but displayed a lightning quick first step while playing for Miami. While the draft didn’t play out as some envisioned, (raises hand) the team obviously didn’t value the players available. 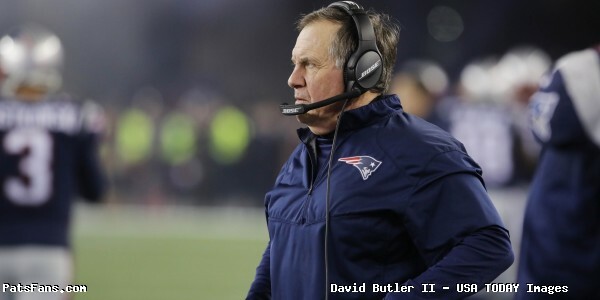 While I certainly believed that a lot of guys between #56 and #143 were capable of helping the defense, Belichick did not and he’s got a little more experience building defenses. Is it time for minicamp yet? 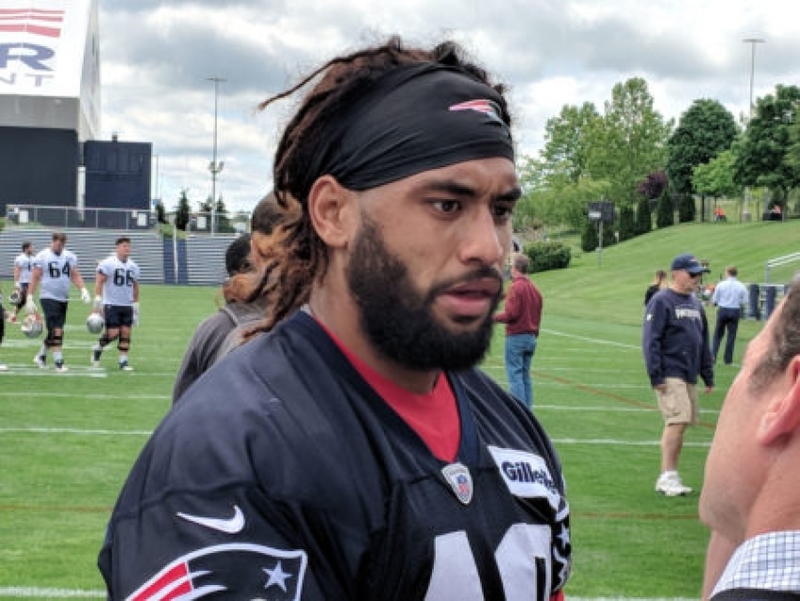 This entry was posted in 2018 Patriots Draft, 2018 Patriots Offseason, NFL Commentary, NFL News, Patriots Commentary, Patriots News, Patriots Rumors and tagged 2018 NFL Draft, 2018 Patriots Draft, 2018 Patriots Draft Picks, 2018 Patriots offseason, 53 Man Roster Projection, Adrian Clayborn, Bill Belichick, Christian Sam, Danny Shelton, Derek Rivers, Dont'a Hightower, Harvey Langi, Ja'Whaun Bentley, Malcolm Butler, New England Patriots, NFL, Patriots, Patriots edge rushers, Trey Flowers on May 1, 2018 by Steve Balestrieri. Where will the Patriots look to first in 2018? 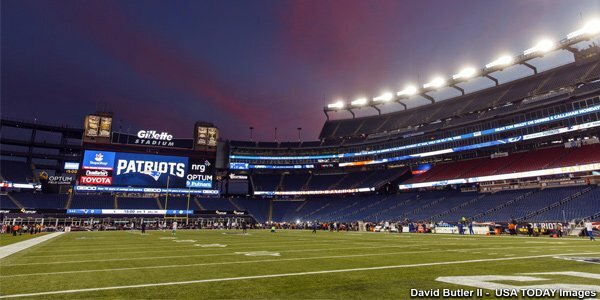 With Free Agency now over a few weeks old, it is time take an early crack at looking at the draft from a Patriots perspective. There are still moves that can be and will be made in free agency and there is always the possibility of a trade that may affect the way the team looks at the draft. But with the initial free agency period winding down it is time to move to the draft. In their “On the Clock” simulator, you are the GM for any NFL team. You can choose how many rounds you’d like to draft for (1-7), and pick one of several big boards to choose from. The boards are normally updated every Tuesday. For this opening mock draft (3-30), I used the big board of Matt Miller, Bleacher Report. Maybe it is an omen, I finished uploading a draft profile on Hubbard into our database and started doing our first draft and all the best linebackers slipped off the board between 25-28 which we expected but getting Hubbard was a nice pickup. Good size and moves very well for a guy at 6’5, 255-pounds. He’s a guy that can be moved around at different spots and levels. Excellent hands adjusts well to the ball in the air. He’s a good blocker when playing in-line. He has good quickness and has excelled at getting free at the line of scrimmage and beating the jam. He’s a strong runner after the catch and can play the traditional “Y” or in-line tight end or the flex or “move” tight end outside. 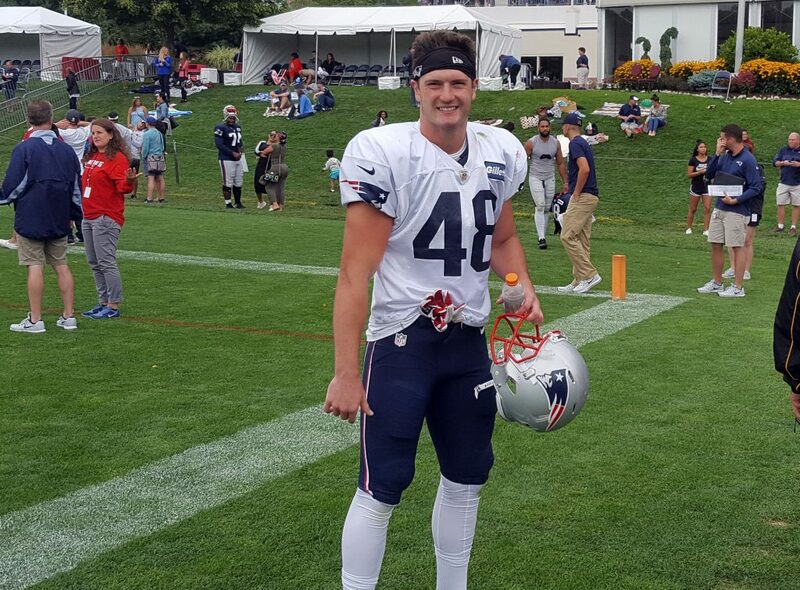 This kid will have a year or so to learn from Gronkowski and should be an immediate impact player. Baker is one of those “new breed” of linebackers at 6’1, 229 that are smaller but with speed and athleticism and he has plenty of that. Baker is a good tackler and very good in coverage due to his excellent speed and athleticism. Baker doesn’t have a lot of size and his toughness, especially in the running game could be a question mark. But that is the price you pay when you go faster and more athletic at times. Not a great instinctive player but could be a very good third down linebacker, something the Patriots were lacking last year, especially in coverage. Lauletta has been widely mocked to the Patriots all spring…which usually means that he won’t be coming. 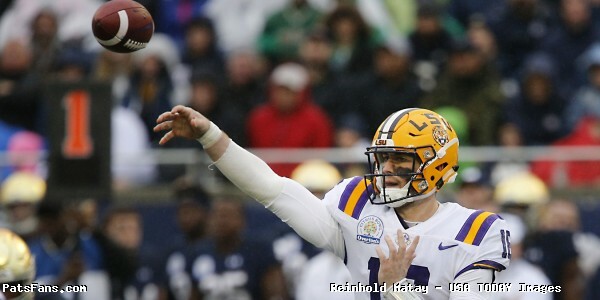 But by Round 3, the majority of the highly sought after quarterbacks were taken. Lauletta has the skill set to do very well with the Patriots. Johnson wasn’t a highly sought after recruit but parlayed that into a very positive career and a Senior Bowl invite. He’s not a big guy at 5’11, 192 which could push into the nickel or slot corner role and that would work just fine for the Patriots. Johnson is a scrappy, aggressive corner with good coverage skills and broke up 42 passes in 45 career games. He’s also a good tackler, something the Patriots insist on with their corners, especially in the running game. Jackson is a 5’11, 193-pound running back who isn’t the biggest guy but has great vision and anticipation of where the holes are going to open up. He and Ron Dayne are the only Big Ten RBs that rushed for 1000+ yards in all four college seasons. While not a power runner, he keeps his legs moving and has been a workhorse while catching 44 passes out of the backfield in his senior year. 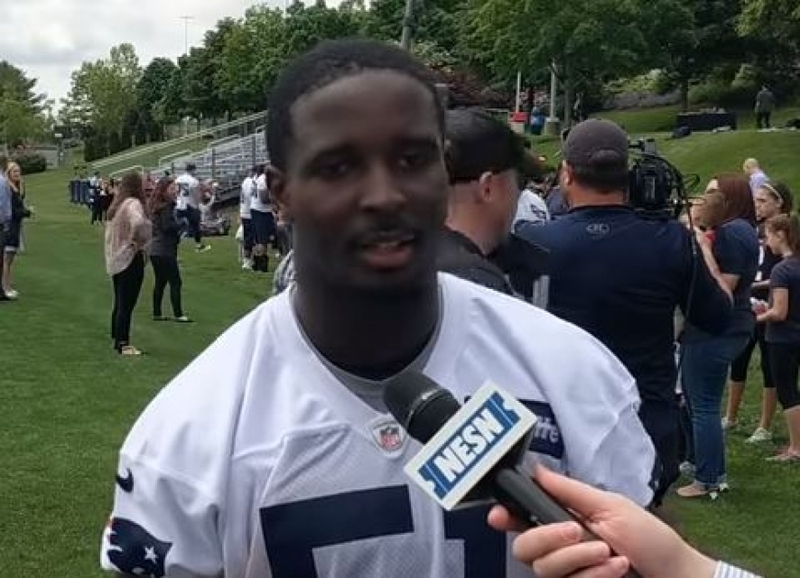 With the Patriots always going with a running back by committee approach, Jackson could be a very nice pickup, he’s a guy not afraid to run between the tackles and is good in the passing game. Sam is a linebacker whose draft stock is all over the place. Some have him as a 2nd rounder, and we’ve seen him mocked all the way to where we found him in Round 7. He’s a steal here. Sam is a 6’2, 237-pound linebacker who can play with speed, quickness, and change in direction. He’s a three-down linebacker with very good coverage skills. He’s got the potential to be a starter inside on Day 1 if he picks up the pro game quickly. 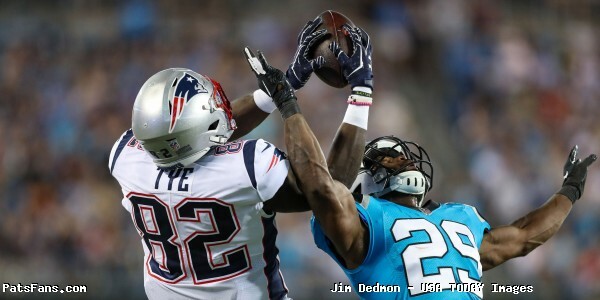 This entry was posted in 2018 Patriots Offseason, NFL Commentary, NFL News, Patriots Commentary, Patriots News, Patriots Rumors and tagged 2018 NFL Draft, 2018 Patriots offseason, Bill Belichick, Christian Sam, Dallas Goedert, Jerome Baker, Justin Jackson, Kyle Lauletta, New England Patriots, NFL, Patriots, Patriots mock drafts 2018, Rob Gronkowski, Sam Hubbard, Tauron Johnson, Tom Brady on March 30, 2018 by Steve Balestrieri.